Generally, all newer style flats and apartments would have a communal satellite dish with connections to the property. Tenants would need to subscribe to the respective service and have their receiver box. In the case of houses and older style flats, this would be fitted if the previous tenant / owner had installed the dish / connection. Generally Landlords of older style flats and houses don’t have a problem with this, however on newer build properties this may not be possible as Landlords are often prohibited from doing this under the terms of their lease agreement with the developer. Generally speaking, most properties where tenants have lived before would have a telephone connection, unless it’s a new or nearly new property which hasn’t had a new line installed. A tenancy agreement is a legal document between the Landlord and Tenant for the rental of a property and initially is for a fixed term, usually 6 months – such an agreement is what is known as an “Assured Short-hold Tenancy”. The tenancy agreement should be in the names of all tenants residing in the property over the age of 18. To terminate a tenancy agreement, the Tenant must give a minimum of one months notice, but not to terminate during the fixed term period. This is usually by negotiation with the Landlord and if there is agreement, then the Tenant would usually be expected to pay any costs that the Landlord would incur in finding a new tenant and the Tenant would be responsible for all rent payments up to the time when the new tenant moves into the property. The Landlord can not terminate the tenancy early under normal conduct from the Tenant. However, should the tenant not pay the rent or is in breech of the tenancy agreement, then the Landlord may follow the appropriate action and issue a notice via the Courts to terminate the tenancy agreement. As a tenant you are responsible for insuring your own possessions, but did you know that you are also liable for any damage you cause to your landlord’s buildings and contents? To help tenants have a greater piece of mind, we can put you in touch with a specialist contents insurer, please ask for more information. In the majority of cases, unfortunately not – many Landlords are unable to offer properties with pets. Sometimes there are restrictions on the Landlords lease. Occasionally, there are a few houses that become available where the owner would allow pets, but usually there would be a higher deposit payable. Some Landlords will turn a blind eye to small fish tanks or maybe a small bird, but nothing else. Unfortunately, not! Many City Centre (mainly one bedroom) apartments don’t have allocated parking, especially on the newly built developments. As a general rule of thumb, all houses would have parking either off road or on the street, but flats will vary according to where they are and what size. We always display on the description of the advert if a property has parking. This can often be a problem in all City Centres, but there are local car parks either operated by the local council or national car park operators such as NCP where you can buy permits for parking. Alternatively, if you are living in a large development, its worth looking on the notice boards to see if anyone else who lives there is looking to rent their unused space out. Inventories are detailed reports, with photographs of the condition of the property when a tenant either moves in or out of the rental premises. In our opinion, these are essential for both Tenants and Landlord’s as it details the exact condition of the property and high-lights any existing problems or damage that maybe already at the property or have occurred during the tenancy period. With the current legislation surrounding deposits, inventories will act as evidence of a properties condition and support any claim for damages. With all managed properties through Lettings Direct, an inventory will be generated before the Tenant moves in to the property, however this may not always be the case where Landlords manage their own properties, therefore we always advise Tenants take to photographs when moving in if there isn’t a inventory in place. We are able to offer both move-in and move-out inventory reports for Landlords regardless of the lettings service required. On many occasions, the choice is out of the Landlords control as often Mortgage Companies will stipulate the types of Tenants a Landlord can and can’t have in the property and often this excludes benefit claimants. This is a deposit paid to reserve a property for the tenant whilst either the application is being processed or there is an amount of time between the tenant agreeing to take the property and when he or she actually is ready to move in. Holding deposits do vary from £300 – £500, dependant on the property and any additional requirements and are deducted from the final balance to pay when a tenant moves in to the property. Once a holding deposit has been placed by a tenant, then that property is with-drawn from advertising and no other tenants are shown this property. If for whatever reason the tenant decides to withdraw from proceeding with the property, then the holding deposit is used to pay the agency administration costs and the cost of re-advertising the property. A Guarantor is someone is responsible for the Tenants payment of rent should this not be paid, or if the Tenant causes damage to the property beyond the value of the deposit held. Generally, any potential tenants under the age of 25 will require a guarantor. Applicants over 25 who have a lower income may also require a Guarantor. A Guarantor will need to complete an application form and be credit referenced in the same way as a Tenant and also to sign an under-taking to be legally responsible for any none payment of rents or damages that the Tenant may incur. As the Guarantor will ultimately be responsible for the payments of the rent throughout the tenancy, then its essential that we ensure the Guarantor has a suitable income to substantiate any such payments. A deposit or as it’s often called a bond is a premium paid by the Tenant to the Landlord to cover the cost of any damages or dilapidation that may occur during the tenancy agreement. If there are no damages to the property, then the deposit is returned in full to the tenant. By law, deposits received after April 2007 have to be registered in an approved Tenancy Deposit Scheme. The idea of the scheme is to give the Tenant greater protection and to stop unnecessary deductions by some private Landlords. This will vary from Landlord to Landlord, but as a general rule of thumb the deposit is usually equal to one month’s rent. What can be deducted from my deposit? We the exception of reasonable wear, the property should be left in the same condition as when the tenancy agreement commenced. Deductions can be made for any damages to the property, cleaning or replacements that are needed in order to re-instate the property to its original condition. How do I know what damage has been caused? All reputable Landlords and Letting Agents will produce an Inventory report prior to you moving into a property. The inventory, will list what’s in the property and the condition and will normally have photographic evidence. When you leave a property, it will be checked against the original inventory. If I’m leaving the property and I have paid a deposit, do I have to pay the last month’s rent? Yes, the rent and deposit are completely separate and the rent should be paid on the due date of every month. How do I know my deposit has been registered? Within 30 days of moving into a property, you should be issued with a certificate detailing which scheme your deposit has been registered under. What if I’m not happy with any deductions? The deposit scheme provider will act as an arbitrator between the Landlord and Tenant and look at the evidence and decide who is responsible for the costs and if they are fair deductions. As part of our service to Landlord’s, we do have a duty of care to ensure all potential tenants are fully referenced in terms of their employment, credit history and dealings with previous Landlords. 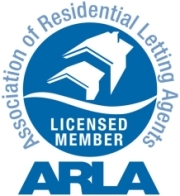 From a Landlord’s perspective a Letting Agent is only as good as the tenant they find. Therefore it is essential that we take every reasonable measure to ensure all applicants we put forward to a Landlord are going to be suitable for the property. We will usually to take references from previous Landlord’s and current employers as well as doing a credit search to ascertain if there has been any adverse credit history or missed payments on any financial contracts that they may have. Another key element that we have to consider is affordability of the rent in conjunction of any other financial liabilities that you may have. We usually look for your income or joint income to exceed the rent by at least 2.5 times. If you are worried about your credit file, you can access this from “Experian” who are a credit agency and hold credit files for the use of many financial organisations and referencing agents. Do I have to pay my own Council Tax and Utilities? The general rule of thumb is that the tenant would always pay for their own council tax and utilities especially if the property was a house or a more modern flat. The only exception to this is where the property is an older style house and it’s been divided into flats or studios by the Landlord and the Landlord hasn’t separated the supply of the respective utilities. In the majority of cases, Students are except from Council Tax. How do I know what Council Tax banding the property is? If we have been given this information by the Landlord, then we are more than happy to advise you of this. But if in doubt, its always worth checking with the local council who can advise on the banding and the council tax payable per year. What companies supply the Utilities? In the Southampton area, the water is supplied by Southern Water. As your probably aware, there are dozens of companies who supply Gas and Electric. and most Landlords are happy for Tenants to obtain the most competitive quotation. Can I change the Utility Provider? Yes, as long as permission is given by either the Landlord or ourselves, as we do need to know the suppliers, especially when your tenancy ends. Yes, meter readings are always taken at the start and end of your tenancy agreement and these are notified to the utility provider so that they can charge you for the correct period and usage. What if there is a Key Meter? If the property you are renting has a key meter for the electricity or a card meter for the gas – these are pre-payment methods and can be topped up at most local shops. When can I view property? We are happy to arrange a viewing at a time suitable for you and our last viewing’s are at 5.30pm during the week, 1.30pm on Saturdays. How quickly can I view? We will always try and arrange viewing’s as quickly as possible, but many Southampton properties we advertise will still have tenants living at the property and we do need to usually give them 24 hours’ notice. However if the property is empty and we hold the keys, then we are happy to arrange same-day viewing’s. Click here to view our available properties. Can I make Advance Bookings? We are constantly renting properties out, so it’s better just to make viewing’s a few days before, rather than longer to avoid disappointment. Where do I meet you at viewing’s? We can either meet you at our office and drive you to the viewing’s or we can meet you at the property. What if I can’t make the viewing? Just let us know as soon as possible before the viewing, as our diaries are often busy and we can then reallocate that time to another potential applicant. One of the main reasons people chose a reputable letting agent to help find their next home is to ensure the property is of a certain standard and complies with the current legislation. Tenancy Renewal – if the tenancy is renewed at the end of the initial rental term, we charge an administration fee of £95.00 (+VAT) per tenancy to cover the administration and re-referencing of the tenant(s). Check-out – We charge a check-out fee of £95.00 (+ VAT) to cover the cost of the check-out report and dealing with the deposit refund. These fees are per tenancy and not per person. The Agency fee is payable when you reserve a property and this then allows us to process the application and obtain references etc. Renewal fees are paid when the tenancy is renewed and the Check-out fee is deducted from the deposit on termination of the tenancy. Unfortunately, if a tenant changes their mind about renting a property once they have made an application, we can not usually refund the agency fees paid. However if in a Landlord changes his mind, then all fees paid in full are refunded. A deposit would also be required to be paid and our standard deposit is the value of the monthly rent plus an additional £200. Deposits are subject to referencing and where an applicant is not in either full time employment or able to provide a UK based guarantor, than a larger deposit may be payable. We try and put as much information regarding a property as we have available. But if you do have any specific questions then please email or phone our Southampton office. In the majority of rental properties, Tenants do pay their own bills for council tax and utilities .